It’s no secret that we love pets. 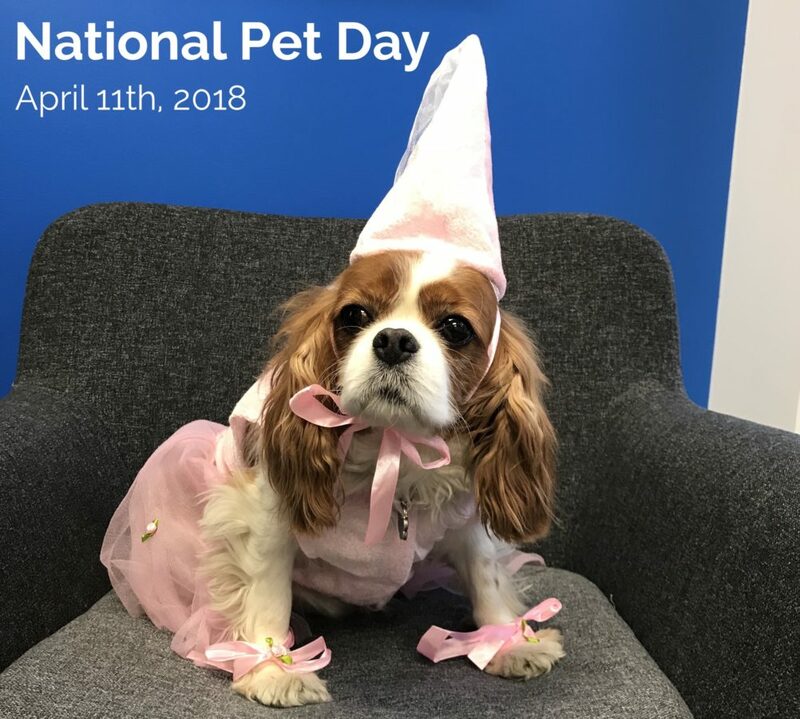 And to celebrate National Pet Day on April 11th, we’re giving back to the animals who need it most. We picked a local Des Moines shelter, Furry Friends Refuge, and are kicking off a food drive to help make a difference. Furry Friends is a non-profit, no-kill shelter that relies on donations to help save animals and find them new homes. We started our food drive collection by visiting a local Des Moines pet store, Jett and Monkey’s. We love shopping local! Charm came along to give her opinion on the food, treats and toys! 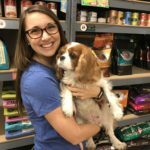 Store owner, Jennifer Kluesner, gave us great recommendations on food and toys that are best for animals in high stress environments such as a shelter. Donate any surplus pet supplies you may have lying around. Check out the Furry Friends Refuge website and see what they need. Then, drop off your donations at our office, or ship them to 317 6th Ave., 8th floor, Des Moines, IA 50309. Charm will take all the donations to Furry Friends on April 11th, and deliver the goods with a wagging tail! For each donation, we’ll give you a shoutout on our Facebook page. You can also take your items directly to the shelter. Another way to help is to sponsor an animal. You can cover the adoption fee to help a pet more likely to get adopted. 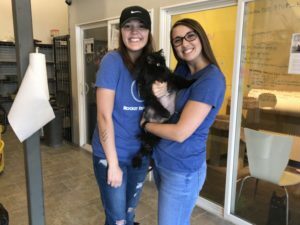 We spoke with the volunteers at Furry Friends, and they shared that sponsoring older cats, or ones with health issues, helps cut down their time at the shelter. We sponsored a ten year old cat, Gizmo, in hopes that he gets scooped up by a great owner! Sponsor a cat by visiting the Furry Friends Refuge site. You can even include your name, so when your sponsored fluff ball gets adopted, the owners can say thank you.